Mount Martha Yacht Club's Women on Water Program is doing great things to bring more females into sailing. A Melbourne yacht club is breaking down the barriers of female participation in sailing through a revolutionary program known as Women on Water, paving the way for sailing and creating significant positive change in the local area. 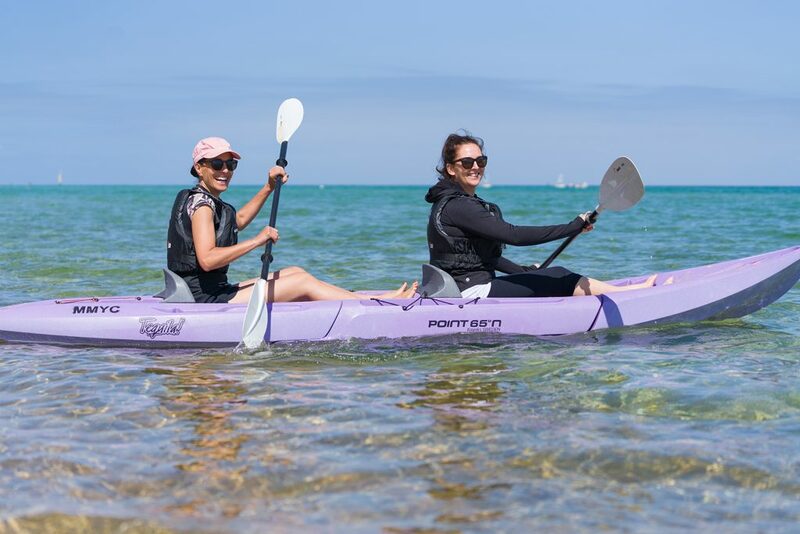 The Women on Water Program at Mount Martha Yacht Club is supported by Change Our Game, an initiative of the Victorian Government that aims to use one off female-focused activities to create lasting impacts on local sporting communities. The club’s Women’s Sailing Representative, Roellen Gillmore, says the current state of play has women under-represented in sailing, which was an unfortunate statistic. However she says things are heading in the right direction and with programs such as Women on Water, female sailors are being provided with equal opportunity and clubs are creating vastly positive outcomes. “There have been a number of improvements already, with growing female participation at club level, female sailor quotas in the Volvo Ocean Race, as well as a lot of government support and grass roots initiatives,” Roellen says. As a new mother, Roellen understands the road blocks that make it difficult for women to get more regularly involved in sport, but she is passionate about finding solutions so women at her club can get involved more easily and stay engaged with sailing and water sports. “I’m becoming all too familiar with the challenges some women face, I can’t go sailing the way I used to, but I am determined to still get out there,” she says. As part of the Women on Water program at Mount Martha, women have access to club-owned crewed boats to encourage social participation, a range of quality sailing gear to borrow without having to invest in their own, Sunday morning sailing and ‘come and try’ days as a social option, as well as much more. 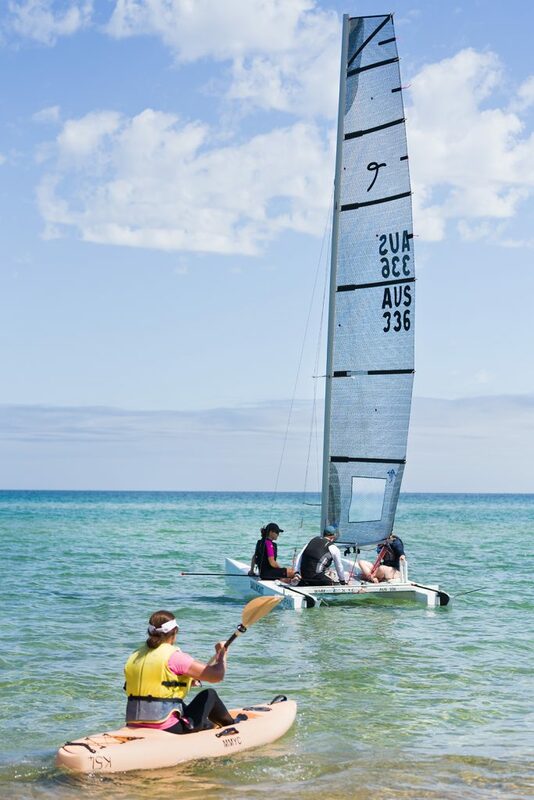 If sailing isn’t someone’s preferred choice but they still want to get out on the water, Mount Martha also offers a number of other activities such as kayaking and stand-up paddle boarding to provide options and further enhance the program. Women also have access to a range of training opportunities at the club, helping to build confidence on the water and create more diversity in female roles on the club duty roster. Come Try Sailing courses kicked off in December with Sunday social sailing for Ladies kicking off weekly from this Sunday for 2019. 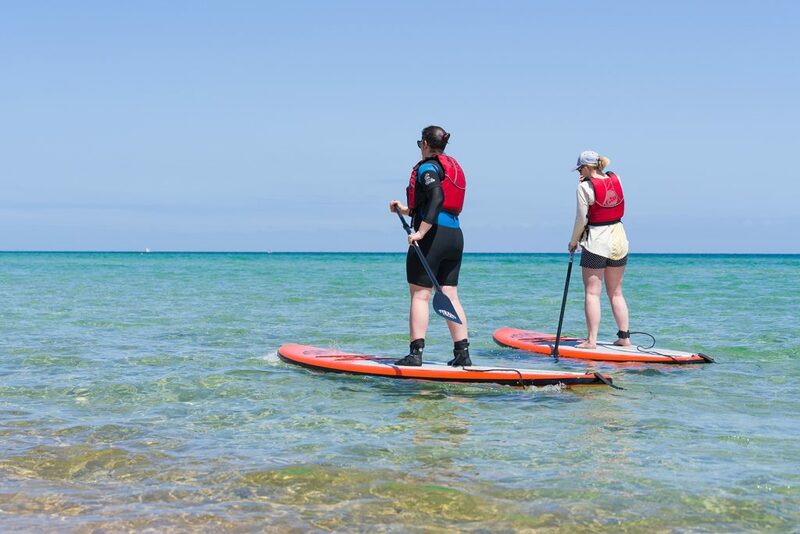 Stand-up paddle boarding sessions have also been really popular so far and there is still availability in the new year. For more information head through to www.mmyc.org.au/women-on-water or contact Roellen whose details are at the bottom of the page.